Are you looking for an amazing magician in Minneapolis or St. Paul? DON'T BLINK YOUR EYES or you'll miss one of Mia's stunning tricks. She'll mystify and entertain with sleight of hand and illusions involving flowers, umbrellas, scarves, gems, pearls, butterflies and more. You will enjoy many surprises and mysteries. Mia studied Ballet, Modern and Indian Dance along with Chinese and Japanese Dance. With this she has combined her skill in Magic to bring you a one of a kind presentation. Welcome to the Magic of Mia, The Twin Cities most unusual magic show. 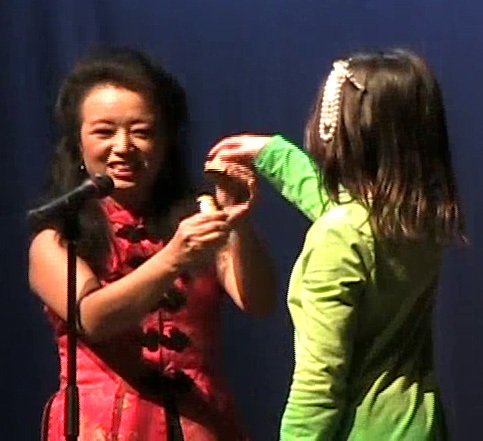 For over 14 years Mia has been performing magic for children and families across Minneapolis and St. Paul. 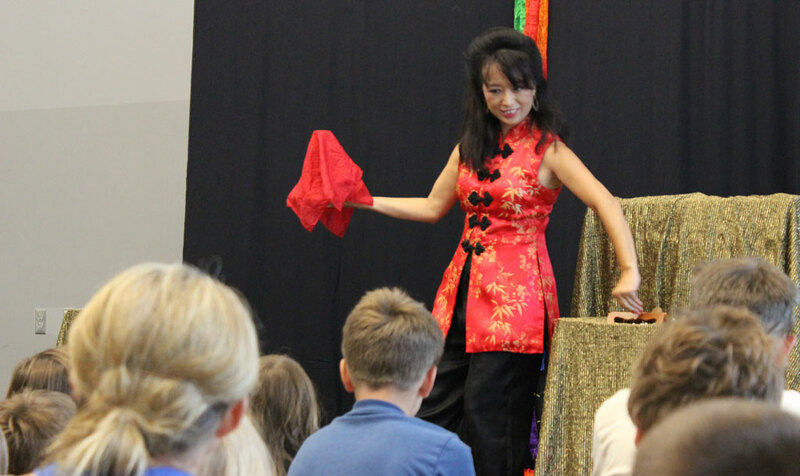 She has been a library and school favorite and is invited back again and again to entertain with her beautiful magic tricks and audience interaction. Yes, she brings her fun magic for birthday parties! Yes, your school, church or family event will be extra magical with her cool tricks that all ages enjoy. Yes, your family and friends will enjoy the most unique magic show in Minnesota. This St. Paul Magician has brought her fun illusions to Rochester, Bloomington, St. Cloud, Hugo, Stillwater, Woodbury and Edina. She has been invited to perform her magic at the Maple Grove, MN library 3 times and at the Downtown St. Paul library 6 times. Your group will be amazed by the magic of Mia. If you are looking for a Minneapolis Magician, you're at the right spot! We bring an amazing magic show for all audiences. "Mia's Magic Delights All Ages!" Mia's amazing magic show brings fun to your party or event in Minneapolis & St. Paul! Magical Mia Brings her Amazing Magic Show to Schools, Fairs and Festivals across Minnesota and Wisconsin. This is the most unusual magic show in Minneapolis or St. Paul. 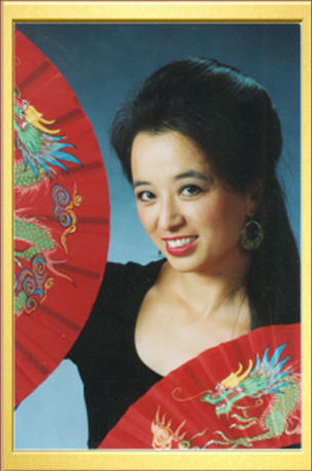 Her wonderful tricks have entertained audiences as far away as Hawaii, where she won First Place at an International Magic Contest. Families come year after year to enjoy Mia’s Magic Show. It’s Magic and Fun for Everyone. Magic Mia presents her magic show for Twin Cities libraries across the 7 county metro. Here are comments from a number of librarians as reported to the MELSA Summer Reading Office. "Lots of girls are planning to be magicians after seeing how glamorous Mia is!" "She did a great show. The audience members large and small were enthralled." "Thank you! The campers really enjoyed your show." "Mia performed at our I.B.M. Magician's Banquet and the audience was delighted. It is rare to see a show with such style and polish. What a treat!!" Mike Wilke - President Minneapolis International Brotherhood of Magicians. "Mia's show was wonderful and drew many patrons!" ""Mia's Magic show was wonderful - many positive comments."" "Thanks for sharing your magical tricks and illusions at the summer reading club party. Everyone thought it was a fabulous show." "Magical Mia came to the Mapleton public library. She was definitely a wonder! 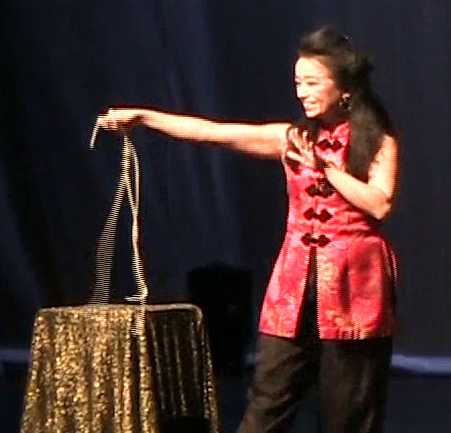 Her use of fans and scarfs made this a very unique magic show. She interacted well with children and adults alike. She fit perfectly with the summer reading program theme "One World, Many Stories." "Mia performed at our IBM banquet in Feburary to the delight of our entire audience. It is rare to see a show with such style and polish. What a treat!!" "A great magic show. The children and teachers think you are wonderful." "Outstanding! The children were totally enthralled." "Mia at magic show in Minneapolis"
"Magical Mia's stage act was both novel and lovely." "Magical Mia had a wonderful show! Even the older boys were baffled and impressed by the more intricate illusions." This wonder-filled Magic Show is perfect entertainment for your family event in St. Paul or Minneapolis. 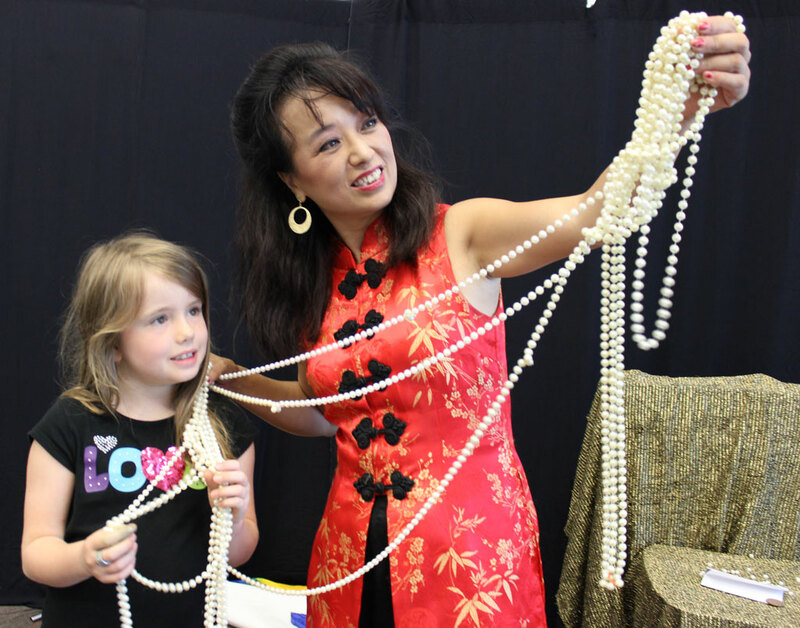 Mia is a Magician who brings Entertainment to Schools, Libraries, Churches and Festivals in Minnesota and Western Wisconsin. 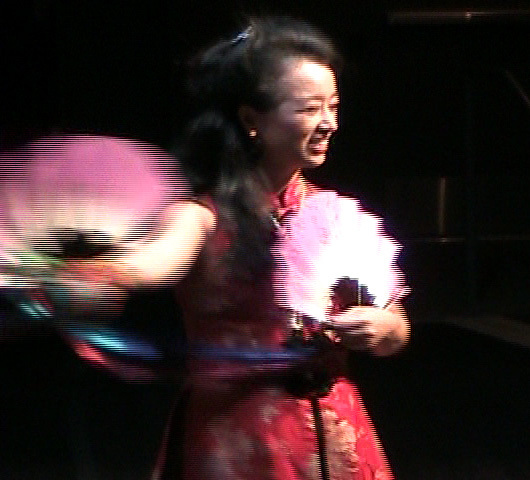 All ages are amazed by this unique show that brings the Magic of Asia to audiences across the Twin Cities. You will enjoy hearing the oohhs and ahhs from the children and families when you bring this fun show to your event. Your Group Will Love Mia's Fascinating and Amazing Magic Show. Magical Mia's Unique Magic Was Awarded 1st Place at an International Magic Contest in Hawaii in 1996. She is experienced and professional. Your group will be thrilled! Magical Mia has entertained at Camp Snoopy, The Southern Theater and the Guthrie Theater. Magic Show in Saint Paul Minnesota at Rondo Library! "Excellent! The Children were mesmerized." "Her performance and delivery were flawless." "The unique way the illusions were presented fascinated and amazed the children." "Wow! Your magic show was awesome! Your wonderful program was excellent and entertaining for all ages. We loved the music, the colors and your fluid movements and unique talents." "Amazing performance! We hired Mia as our main entertainment for our Girl Scout Unit Family Fun night and couldn't have been happier. Mia's show captivated our entire audience of men, women, girls and boys of all ages and the feedback was spectacular! Mia's show made this event our best annual family night ever and we hope to see her again next year! Thank you sooooo much!" "I like how she incorporated history and geography into the program. She also mentioned that she learned magic from reading magic books. The program had a lot of variety with talking & music segments." Click here for Cool Magic Tricks! 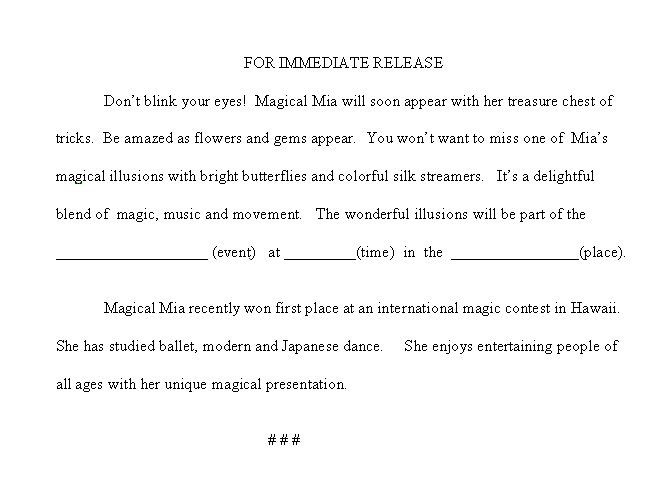 Libraries across the Twin cities have written comments on Mia's Magic Show. "The audience thought she was great." Another librarian said that several moms commented that "She was wonderful." Another library had guests comment "She was awesome!" Another librarian wrote, "Many times I heard 'wow!' from the audience." Several libraries have brought Mia's Magic Show to their families over and over again. 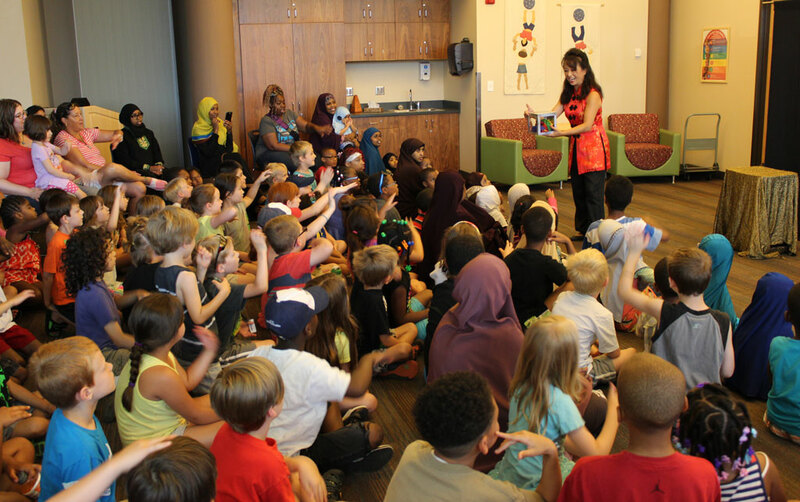 One recent summer Mia brought her magic to 13 libraries across the metro area of Minneapolis and St. Paul. All 13 children's librarians rated the audience reaction as "enthusiastic" or "over the top." "Good audience participation. She does a beautiful job." "Mia is the ultimate professional, arriving well in advance of the performance, involving children from the audience in her show. 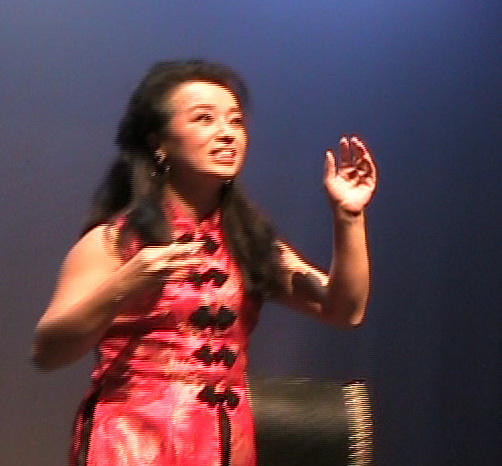 Telling the audience about her Korean heritage, and inspiring young magicians to explore the art of illusion I appreciate her style of performance - ethereal, sleight of hand magic that incorporates movement and beauty. She is especially good role model for aspiring girl magicians." "Always a great program." "She's Wonderful." "Very enjoyable as always." Click here for Frequently Asked Questions About Mia!